Beldon is a reputable contractor based in San Antonio, Texas, with branches in 13 major American markets including Chicago, Portland, and Seattle, among others. Founded by Morry Beldon in 1946, the family-owned and operated business specialized in roofing and added LeafGuard gutters in the 90’s. Over time, the company started thinking more holistically about insulating homeowners’ houses and expanded its services to include vinyl replacement windows and blown-in fiberglass insulation. As a final step towards offering more services to homeowners, Beldon launched its siding business at the end of 2017. We had the pleasure to connect with Allison as well as Bill Goddard, President of Beldon’s LeafGuard Division; and Caleb Mitchell, one of Beldon’s most successful sales reps to learn more about how the company successfully brought their siding service to market. At the core of any successful construction business lies a streamlined sales, production, and installation process. 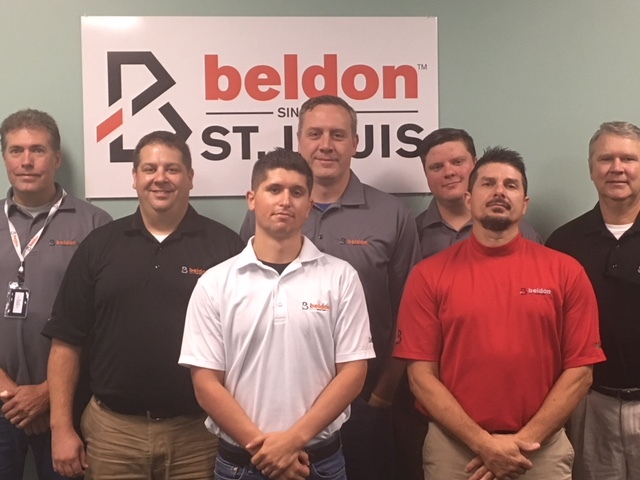 Beldon’s rapid growth and expansion across the U.S. is a testament to a combination of a strongly trained salesforce, solid network of high-quality distributors and competent crew specialized in installing LeafGuard gutters. Since its founding, Beldon has only carried the best product offerings to ensure quality work and to differentiate from the many mom-and-pop contractors in the marketplace. By adopting HOVER, they were able to further raise the bar in terms of customer experience. Prior to HOVER, Beldon’s sales representatives would typically use pictures of other houses to show the curb appeal of products. Now they can use HOVER’s design features to show what various colors and materials will look like on the homeowner’s house. “The 3D model is way more effective at visualizing what the homeowner’s house will really look like in the future. It gives homeowners the confidence to sign the contract with us as they know exactly what their house will end up looking like. Customers also find the software cutting-edge so HOVER truly helps us portray ourselves as a company they can trust,” Caleb mentioned. Historically, Beldon’s sales representatives were allocating a lot of time to gathering measurements. “Hand measuring a property is hard work and it’s hard to avoid mistakes. Worst of all, it takes away from your time with the homeowner,” said Bill. With HOVER, salespeople no longer need to spend up to 45 minutes to measure a house. Instead, they can allocate more time to the questions, wishes and concerns of the homeowner. The interactive 3D model and accurate measurements also allow Beldon’s sales team to foster homeowners’ trust by providing transparency into their measurements. This way, customers know that I’m not guesstimating and making sure the project is as affordable as possible. I now have more confidence than ever when presenting my price as I can highlight the value, quality and professionalism that my company will bring to the project,” stated Caleb. HOVER’s precise measurements do not only come in handy to create estimates or give insight into pricing, it also allows Beldon to double-check material purchase and labor estimates to ensure minimal waste. The HOVER team is excited to see that Beldon’s siding department is taking off and looks forward to its continued growth in the future. Beldon is a family-owned and operated company based in San Antonio, Texas, with branches in 13 major markets, including Chicago, Portland, and Seattle, among others. Founded in 1946, the company specializes in the installation of products such as LeafGuard gutters, vinyl replacement windows, blown-in fiberglass insulation, roofing systems, and James Hardie fiber cement siding. The many awards that the company has received and glorifying customer reviews highlight that Beldon lives by its mission to provide integrity and outstanding customer service at all times.